Dr. John Choi is a Professor of Handong Global University in Pohang, South Korea. is working on the completion of his book “Becoming reformed. Ethical and Historical Studies on the Reformed Reformation and its Reception in the 20th century / Reformiert warden”. Studies on the community of property according to Calvin, on Calvin and virtue ethics and on the model of covenant and marriage still remain to be carried out. During my research term at the Johannes a Lasco Bibliothek in Emden I will analyze in detail the Reformed features of the first Romanian translation of the NT, published in 1648 in Bălgrad (modern-day Alba Iulia in Transylvania). During my two months at the Johannes a Lasco Bibliothek, I will focus on the cultural struggle fought by Tommaso Campanella (1568-1639), one of the most important philosophers of the late Renaissance, against Luther, Calvin, and their followers. 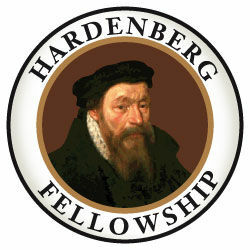 During my stay, the main line of enquiry will focus on the origin of the threefold structure of the Heidelberg Catechism. Why was it written in a threefold structure, and what documents were used to form the structure of the Heidelberg catechism? Janz is Provost Distinguished Professor of the History of Christianity at Loyola University in New Orleans. He is currently working on a book project entitled Martin Luther’s ‘De captivitate Babylonica’: Dual Language Edition, with New Translation, Introduction, Notes, and Commentary (under contract with Oxford University Press).